brought together several enthusiastic volunteers and organizations: UNLV School of Dental Medicine, Nevada State Oral Health Program, Oral Health Nevada, NV Dental Hygienists’ Association, TMCC, and the community to provide education on oral health, screening for dental disease, and application of fluoride varnish for many Special Olympians. What a Wonderful and uplifting event! Thank you all: Caitlin Sheets, Healthy Athletes Program Manager at Special Olympics Northern California & Nevada, Civon Gewelber, DDS, Richard Reich, DDS, Antonina Capurro, DMD, Syd McKenzie, RDH, Caryn Solie, RDH, Judy White, RDH and many other great facilitators and support team members. Started in 1919, the Reno Rodeo is one of the top 25 rodeos in the county – known as the “Wildest, Richest Rodeo in the West,” with more than 116,000 spectators attending the 10-day event. 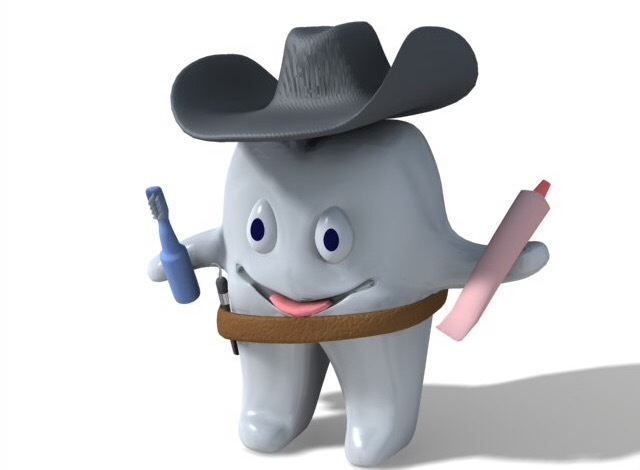 “We are excited about our partnership with the Reno Rodeo and this funding will allow us to provide needed education to the more than 1,000 youth from around the state that attend the event on these two days,” commented Oral Health Nevada Board Chair, Christine Garvey. “This funding will allow us to provide interactive stations where children will learn everything from how to brush properly to the negative affect tobacco use has on the mouth to why dental sealants prevent cavities. It will also allow us to provide each child who participates with a new toothbrush,” explained Ms. Garvey. Earlier this year, Nevada received a grade of “F” for children’s dental health in the Nevada Legislative Briefing Book. In addition, 47% of the state’s Head Start children have experienced tooth decay and 12% have untreated tooth decay. While, 64% of third graders have experienced tooth decay, 29% have untreated tooth decay, and less than 50% have dental sealants, which can prevent cavities in molar teeth. Furthermore, Nevada ranks higher than the national average for tobacco use – 43rd in the country (22%) for adult cigarette smokers, and 20th (10%) for those 12-17 years of age. In addition, about 3% of adults and 8% of high school males use smokeless/spit tobacco regularly. Oral Health Nevada was one of thirteen non-profit 501(c)3 organizations in the country to receive the American Dental Association Foundation Semi-Annual Grant Program award in 2015. The American Dental Association Foundation is a 501(c)3 charitable organization that provides assistance for the dental community, and works to improve oral health by supporting access to care, research, and education programs. The ADA Foundation’s four Mission Pillars are Charitable Assistance, Access to Care, Research, and Education. The Foundation’s strategic ties with the American Dental Association, coupled with its strong volunteer leadership and its generous donors, give it a powerful yet flexible infrastructure to anticipate and quickly respond to the most pressing needs affecting dentistry and the public’s oral health.